1. Madonna. 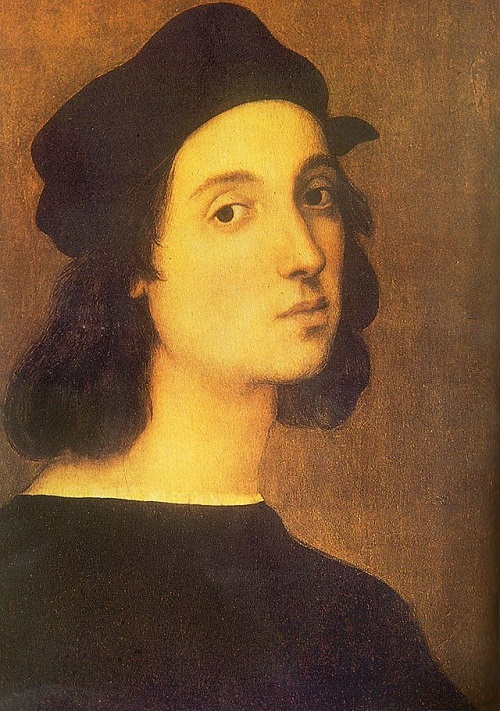 Some researchers believe that the image of the Virgin Raphael painted from his mistress Margherita Luti. 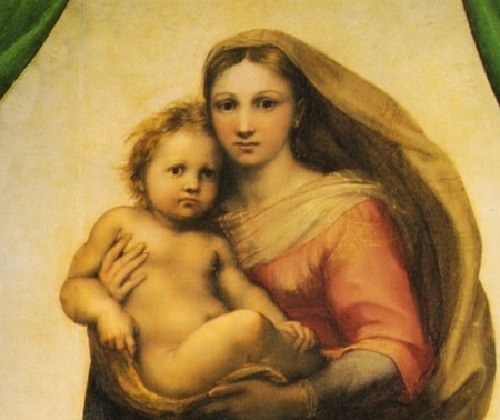 According to art historian Sergei Stam, “In the eyes of Sistine Madonna froze direct openness and credulity, hot love and tenderness, yet alertness and anxiety, anger and horror of human sin; indecision and at the same time the willingness to perform the feat” (to give her son to death). 2 Infant Jesus. His forehead is high, and he is not a child, his eyes are serious. However, in their view, we see no edification, no forgiveness, no reconciling comfort … His eyes are opened to the world and he looks with bewilderment and fear. And yet, in the view of Christ is read determination to follow the will of God the Father, the determination to sacrifice himself for the salvation of mankind. 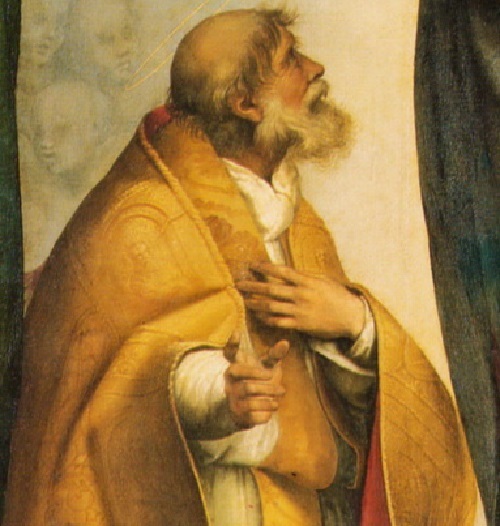 3 Pope Sixtus. About pope is known very little. On his holy throne he spent a short time – from 257 to 258 and was executed under the emperor Valerian by beheading. 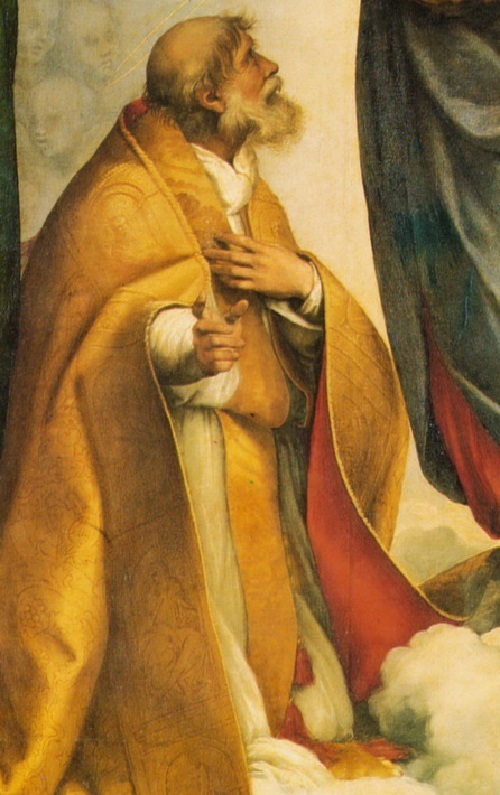 Sixtus was the patron saint of the Italian papal kind Rovere (Italian: “oak”). Therefore, his golden robes embroidered with acorns and oak leaves. 4 Hands of Sixtus. 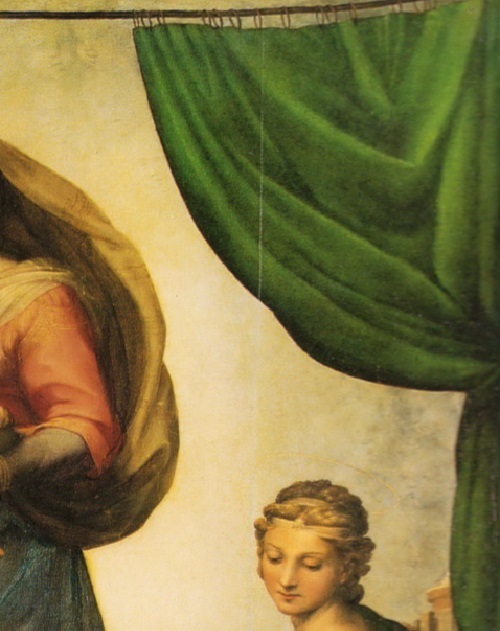 St. Raphael painted pope’s pointing with his right hand on the patron crucifix (recall that the “Sistine Madonna” hang behind the altar and, respectively, for the altar cross). Curiously, the artist has depicted the pontiff’s hand with six fingers – another six, codified in the picture. 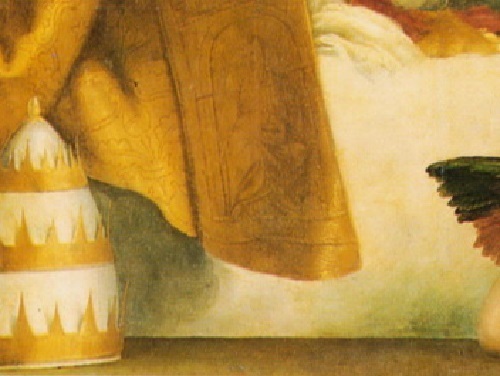 Left arm pressed against the chest of the high priest – a sign of devotion to the Virgin Mary. 5 papal tiara removed from the head of pontiff in reverence before the Madonna. Tiara has three crowns symbolizing the kingdom of the Father, Son and Holy Spirit. It is crowned by an acorn – the heraldic symbol of the genus Rovere. 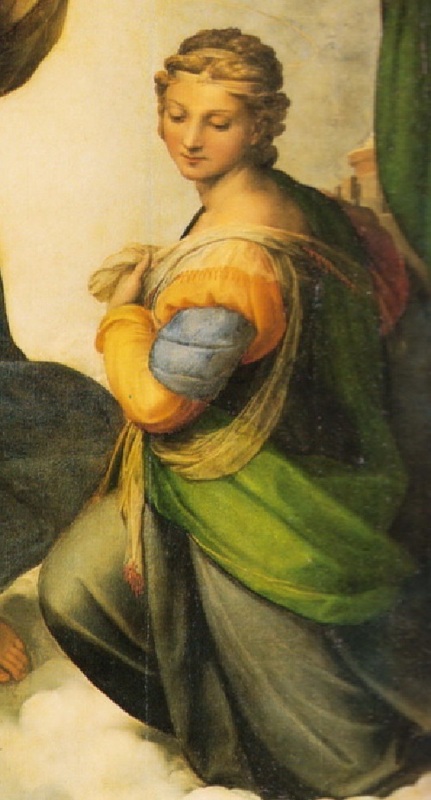 6 Saint Barbara was the patroness of Piacenza. This holy secret from the III century pagan father turned to faith in Jesus. Father tortured and beheaded his daughter. 7 Cloud. 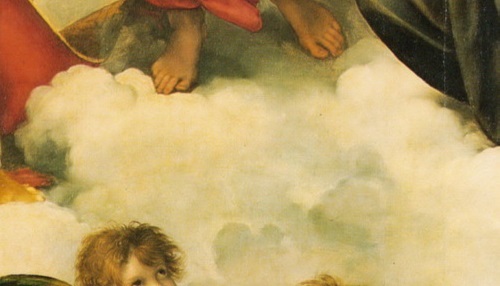 Some believe that Raphael painted clouds in the form of singing angels. In fact, according to the teachings of the Gnostic, they are not angels, and yet unborn souls who dwell in heaven and glorify God. ANGELS 8. 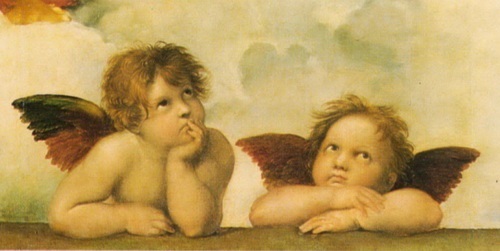 Two angels at the bottom of the picture dispassionately look into the distance. Their apparent indifference – a symbol of the inevitability of the adoption of the divine Providence: Christ ordained the cross, and the fate can not be changed. 9 disclosure of the curtain symbolizes the heavens asunder. Its green color indicates the mercy of God the Father, who sent his son to die for the salvation of men. At the beginning of the XVI century Rome waged bitter war with France for the possession of the lands of northern Italy. In general, luck was on the side of the papal troops, and North Italian cities one after the other joined the side of the Roman Pontiff. In 1512 joined Piacenza – a town 60 kilometers south-east of Milan. For Pope Julius II, Piacenza was something more than just a new territory: here was the monastery of St. Sixtus – kind patron Rovere, which belonged to the pontiff. 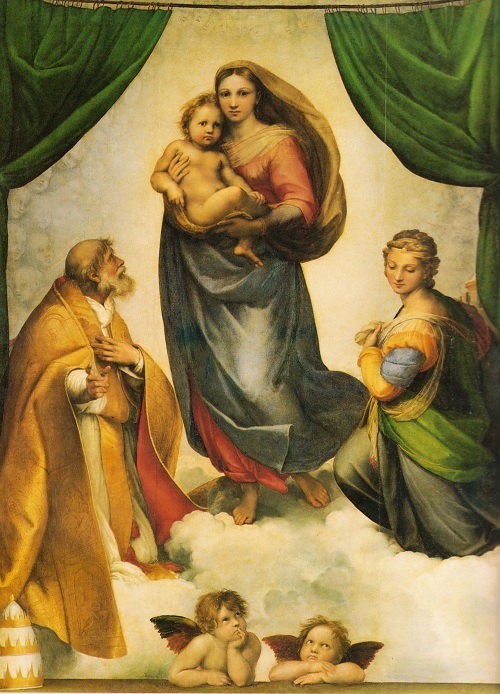 To celebrate, Julius II decided to thank the monks (who actively campaigned for joining Rome) and ordered Raphael Sanzio (had already recognized master) altar image, where the Virgin Mary is with holy Sixtus. Rafael liked the order. Gnostics of all magical properties especially honored number six (that on the sixth day, according to their teaching, God created Jesus), and Sixtus is just translated as “sixth”. Raphael decided to beat a coincidence. Therefore, compositional pattern, according to the Italian art critic Matteo Fitstsi, encrypts a six: it consists of six pieces, which together form a hexagon.